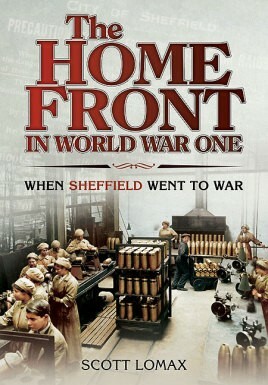 The First World War saw many changes to Sheffield that have helped shape what the city is today. It is apt that as we mark the centenary of the outbreak of the war, whilst paying our respects to those who were killed serving our country, we recognise the impact that the war had on those at home. This brand new publication details the human experiences, thoughts, concerns, fears and hopes of a city during one of the most important periods in its history, including the run up to war and the reaction to its outbreak; the efforts of those who could not fight; industry and how workers were instrumental in creating the weapons and tools that would help Britain win the war, along with the city's role in treating and entertaining wounded soldiers and the role of the University of Sheffield and the effect of the war on education. The part women played in the munitions factories plus a devestating Zeppelin raid over Sheffield are also covered in detail. For the first time in its history, Sheffield realised that the horrors of war were not confined to overseas battles but that they could be witnessed and experienced in their own neighbourhoods. As seen in The Yorkshire Post, Sheffield Telegraph, The Star (Sheffield), Bradway Bugle and Grapevine Magazine.